One of the most magical aspects of pregnancy is the wonder associated with the trillions of interactions that occur following the union of just two single cells to develop an entirely new, unique human being! All of these delicate interactions are directed by hormonal changes and chemical responses in the mother and baby. The nervous system co-ordinates and controls all of this process entirely, to ensure that they occur at the appropriate time, in the appropriate amount and in the appropriate order. So it makes sense that a well-functioning nervous system is an important factor to the overall health of the mother, and the growth and development of her baby. Think of all the functions your body performs for you every single day… then think about all the functions your body performs in addition, to grow a baby from two cells. Nerve impulses travel from the brain, down the spinal cord and out through the spinal nerves that exit between each vertebral bone that makes up the spine. 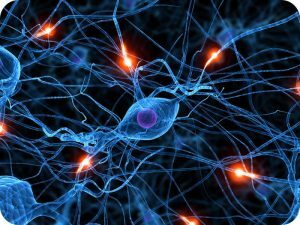 From there, the nerves branch out further and supply information to the entire body to instruct it how to function. When the vertebrae become misaligned, or are not moving correctly, this creates interference to the nerve impulse that is being carried from the brain to the respective body tissues, and nerve impulses from the body back to the brain. The nerve impulse misfires and the body’s energy force is unable to flow at its full potential. A chiropractic adjustment restores movement to the misaligned joint(s), the interference is removed from the nervous system and the nerve impulses are then able to flow to their assigned body tissues, or from the body tissues back to the brain appropriately. A well-functioning nervous system promotes a well pregnancy for mother and baby. Are you experiencing physical discomforts from pregnancy? Have you noticed during pregnancy that your posture and the way you walk have changed? Keen to have a well-balanced pelvis to promote ideal positioning of your baby for birth?